Springtime Happy! Apple just featured our app and we’ve just added a few new features. Improved notifications, sounds, and social sharing. 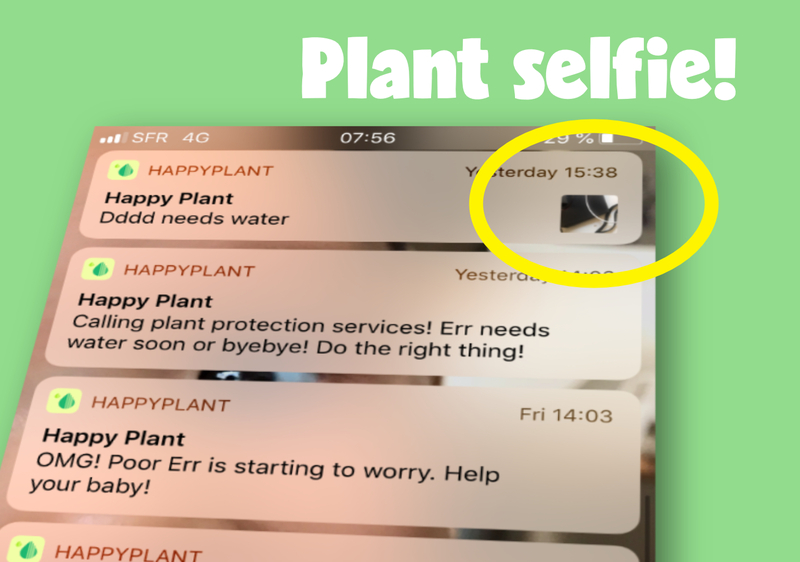 Plant notifications will now contain the last image of your plant. When it’s time to water, you’ll now see a picture of your plant. Hey cutie pie. If you like Happy Plant and feel that your friend needs, please tell them! We’ve added a social share feature in our settings page to help spread the word. Of course, no real bugs harmed. Thanks again for being part of our Happy Plant journey. We love hearing from you, improving together and hope Happy Plant makes caring for your green babies just a little more fun. As always, please consider ratings our app as this is the best marketing we can ask for.